Fossil hunter, folklorist, man of faith, stonemason, geologist, editor, writer and social justice campaigner – Hugh Miller was one of the great Scots of the 19th century. His quests and writings have left a huge legacy of knowledge, but as these two adjacent properties testify, he came from ordinary beginnings. The thatched cottage where Hugh was born in 1802 was built by Hugh’s great grandfather – a pirate! 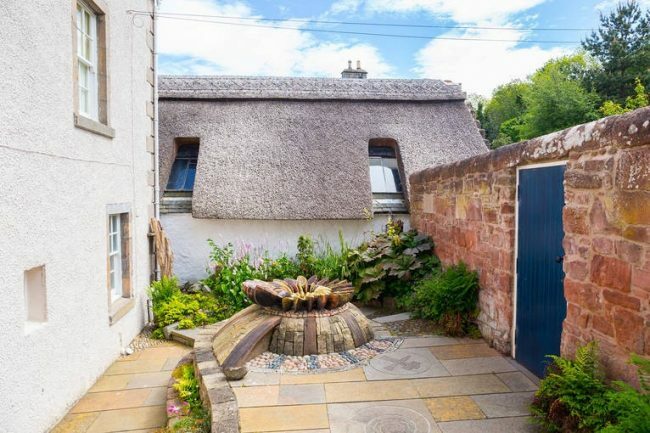 The cobbled courtyard adjoining the cottage was an external working space. Next door, the handsome Georgian villa, now an interactive museum, was built by Hugh’s father – its distinctive central spiral staircase winds around a ship’s mast. Outside, Miller’s Yard: Garden of Wonders is a sheltered corner – the perfect spot to sit and take a breath of fresh air.